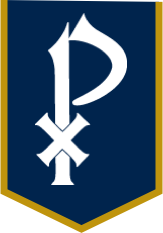 The St. Pius X Alumni Association has created Class Delegate positions for each class to act as a liaison between the class and the Alumni Association. The purpose of the position is to ensure and see to it that there is good communication between the Alumni Association and all of our alumni. Class delegates are primarily charged with planning class reunions, updating the Alumni Office with address updates and class notes, sharing information via social media for school and alumni events and assistance with communicating the efforts for the St. Pius X Annual Fund. Please contact the Alumni Office at (404) 633-4290 ext. 272 or alumni@spx.org if you are interested in becoming a Class Delegate. It's great to be a Golden Lion!